Please send Lake Latoka historical information to Gary Deick at ggdeick@charter.net or call 762-2538 for inclusion here. The short answer to the question is that despite investing considerable time and effort, I do not know the answer. What follows is a brief summary of my research and some of what I learned. After moving to the shores of Lake Latoka late in 2000, my curiosity soon drove me to find the answer to the question. I thought a brief visit to the Douglas County Library would surely reveal the answer. Why the curiosity? Well, the word Latoka bears a remarkable resemblance to the word Lakota (sometimes Lakhota), which is one of the three language dialects of the Dakota (or Dakhota) Nation (commonly call the Sioux). The similarity seemed to me then, as now, to be more than mere coincidence. Lakota not only identifies the language dialect, but also is the name given the sub-tribes who spoke the language. The Lakota includes among others, the Santee who occupied what is now western Minnesota and eastern South Dakota. By the way, these people had many fights with their neighbors to the northeast, the Ojibwa (now commonly known as the Chippewa) who gave the Dakhota people a name meaning “snake” or “enemy”. That name, through a corruption of the equivalent French word, became “Sioux”, a disparaging term understandably not preferred by the Dakhota people. Incidentally, the Dakhota word “minisota” means sky-tinted waters and “winona” means oldest daughter or first-born female child. My search began at the Douglas County Library. There a small book seemed to hold great promise because it dealt with the origin and meaning of the Douglas County lakes. That proved to be a false hope. The book had nothing explaining the meaning of the name Latoka although the name of the lake was included. I thought surely the Minnesota Historical Society (MHS) in St. Paul would have my answer in spades in its library. One of the first places I looked was the Minnesota Place Names database. There I found a listing for Lake Latoka with the following notation: “Origin and meaning not ascertained.” Other books and materials at the MHS also yielded nothing. Thinking that Latoka might have some linguistic or etymological roots, I send an email to a professor (of linguistics) at the University of Colorado who has a special interest in Native American languages. He consulted a linguist colleague who had edited a book on Native American Place Names. Unfortunately, neither of these men had anything other than some speculative possibilities to suggest, but nothing of substance. Similarly, an historian at the University of Nebraska who specializes in Dakhota history had no recollection of the word Latoka. Finally, in the fall of 2001 I visited the Douglas County Historical Society on the occasion of their open house. There, to my surprise, I saw a map (copyright 1913 by the Minnesota Map Publishing Co.) On that tmap the name of our lake is clearly shown as Lake Lakota. I have so far made only one effort to find that company on the internet. Of course, after 89 years it is likely the company no longer exists. However, its records and documents could be archived somewhere, possibly the MHS or the University of Minnesota. So we know that Lakota has a rich and documented history. On the other hand, the word Latoka, has appeared on numerous maps at least since 1879 as the name of our lake, but seemingly lacks any other history and has no apparent linguistic roots. I suspect that a mapmaking error lies at the bottom of this mystery. There is precedent. An effort in the definition of the border between Canada and the eastern half of Minnesota ultimately resulted in the Northwest Angle of Minnesota but the error took many years to resolve finally with a precise survey. Perhaps you have noticed that the new street in the Horizon Heights subdivision is named Lakota Heights Lane. Now I find that very interesting. Despite the lack of any solid evidence (thus far), I believe the 1913 mapmaker and the person who named the new street both have it right – the name of our lake should be Lakota. I wonder if that early mapmaker suffered from dyslexia. But whether the cause was dyslexia or mere human error, I suspect all later mapmakers except one followed blindly. One of the most significant events that happened in the late thirties, when the water was so low, was the Alexandria Fire Department’s try at rearing fish from a small pond on the northeast corner of the lake. Many of you don’t realize that the Alexandria Fire Department was the first sportsmen’s association in the area. They trapped fish with nets and transferred these fish to many lakes in the area. The fish were seined in Lake Agnes. The Lake Latoka Pond was cleaned out of much of the weed growth and a ditch was dredged from this pond, which was spring fed, to the southwest. The machinery was pulled by oxen and a team of horses. The ditch was then dammed by using large stones. Male and female bass were put into this pond when spawning was finished. My job was to catch the adult fish and put them in the ditch on the other side of the stone barrier. In the fall the rocks were moved, a net was dragged through the pond and the small fingerlings were moved up the ditch. Many of the watershed areas have been filled in and now have homes built on them. One is the area south of the Firemen’s Lodge. There are now five homes built in that area. Another watershed area is where the Ledermann home is. There are now three homes built over this watershed. There are two homes built in the area we called Knight’s Bay, just north of where Bill and Irene Bundy live. Another watershed area was in the south lake on the west side just south of the I-94 bridge. Water clarity in the thirties and forties was absolutely fantastic. Anywhere on the lake in 15 ft. of water or deeper on a still day you could see various water bugs crawling on the bottom. Now, with the I-94 bridge and almost 90% of the watershed areas filled in, the clarity of our water has changed considerably. Before the Lakes Area Sanitary Sewer System, homes and cabins had septic tanks, so we have to believe that the sewer system has really helped keep the water at a clearer, cleaner level. We had agricultural farming, dairy, beef and sheep. The runoff from the various farms actually helped fishing, because in any area that had runoff there was full fish feeding, and of course, larger fish came to feed on the bait fish. Many times my father and I found fishing better in and around these areas. There always has been a boat landing on Lake Latoka at or near the swimming beach. The south access was put in during the late seventies as a commitment by developers that platted out that area. There has been no logging that I can recall. Latoka Beach in its infancy was just a wild area with a nice sand beach that was used by many people for late night fun and for family weekend picnics. 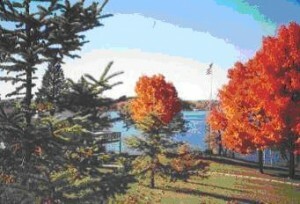 At one time there were three small resorts on the lake. One of the resorts had a small store and our children would walk along the shore to the store to buy ice cream bars and candy. There has been a considerable change in water depth that I can recall. At one time there was a diving board to the southwest from Lloyd Andres. People could dive into 10 to 15 ft. of water because of the drop-off. The highest water level was, I think, in 1975 and now at the present time. I-94 was completed in the late 1960’s. In order to build the bridge, an area over 100 yards in width was filled in. The area near the bridge was then 30 ft. deep and now it’s 15 feet. There has been a tremendous change in the lake over the years in the algae growth, which has affected the water clarity. With most homes now using fertilizer for their lawns and the fertilizer washing into the lake, this has in itself had much to do with the lake and its fishing. Fishing in the thirties, forties, fifties and sixties was like falling off a wall. I can remember vividly the fish fries we had with our friends …. 20-25 people eating deep-fried walleyes, all caught in one day by one boat and cooked outside. I think today it would take many days to match this. Over the years there have been many fish kills – generally in late July or August when the water turns over. Occasionally because of hot weather lake herring would come to the surface. The dead fish would smell for a long time. Before 1950 there were mostly farms, some summer cabins and the three resorts. In the 1960’s there were still the few summer cabins, the farms and three resorts and about 8 or 9 year-round homes. During the 1970’s through the 1990’s many of the year-round homes were built on Lake Latoka. Lake Latoka was named by the Indians of this area and also known as Pretty Lake. Water was always clear, as it is spring fed. 1870’s – Land was opened up to settlements in the 1870’s. Friendly Indians roamed the land and fished the lake as late as 1890. No logging was done but entire areas of Little Latoka was covered with hardwood trees such as elms, maple, oak, etc. The early settlers first cut the trees to make homes and barns, and then later cleared the area for farming. 1900 – The area of Latoka Bay and Latoka Narrows was claimed by Erik Torve where he built a log home and barn. He cleared the area and farmed until 1926. 1926 – The wealthy Munger family from Texas bought the Latoka Narrows and Little Latoka Bay area for $5,000 getting 160 acres. They were one of the many families that came up from Texas and the southern states. Being very wealthy, they brought their chauffeurs, maids, cooks and either built new homes or added on to the present one. They hired many local people to farm their land and work as yardmen and maids in the home. They lived on Latoka from May to September. The area was known as “Munger Campground” or “Little Norway” from 1926 to 1976. 1926-1929 – The Mungers hauled in tons of large rocks into the lake to make a Bass spawning bed that was successful for many years. In 1928 Mr. Munger unloaded two railroad boxcars of furniture and oriental rugs imported from England for their Lake Latoka home. In winter large blocks of ice were cut from the lake and stored between sawdust in the ice houses for use in the summers, as there was no refrigeration or electricity until the 1940’s. 1930-37 – Water was extremely low due to the drought years. · Sewage was seeping directly into the lake from most lake places until about 1935. · The lake had beautiful sandy beaches all around in which the children and young people went through pastures and barnyards to get to the lake to swim and fish. · Fishing off shore was plentiful getting bass, walleye, northern, and large sunfish with bamboo poles and worms. 1940-50 – The few farms let barnyard run off go directly to the lake. Lake accesses were on all open areas of the lake. 1964-65 – The I-94 Interstate bridge and highway was built over little Latoka. The lake under the bridge was filled in to only a small boat passageway. 1983 – Wind storm of 100-125 miles an hour hit the east side of Little Latoka uprooting trees and piling lake bottom debris to heights of six feet in some areas along the shoreline. In 1921 the Relief Association bought seven acres of land with over 400 feet of lakeshore on Lake Latoka for $120 per acre. They later paid $30 for small parcel adjoining this property. The firemen constructed a large cabin now referred to as the “Lodge” and five smaller cabins on the property for the use of the members in lieu of receiving pay for their services as firemen. Today each firefighter and their family stays in one of the four remaining cabins four two weeks between Memorial Day and Labor Day. This is private property owned and maintained by the Alexandria firefighters. In 1985, a wind storm damaged the old lodge and a new one was built in 1988. It is a nice benefit for the volunteer firefighters and their families to enjoy through the years. 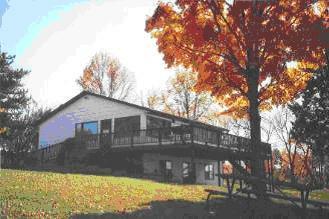 This attractive property is a landmark on the lake. The Alexandria firefighters graciously allow the Lake Latoka Property Owners Association to use it once per year for their annual picnic. If you have further history or stories about Fireman’s Lodge, please send to katliesemeyer@gmail.com for inclusion on the website. Coffee break with Natalie Johnson, Arlue Beheng, and Linda Petty. Natalie and Art Johnson moved to Alexandria in 1967. There were only 14 homes on the big lake. When someone would have a party, everyone on the lake was invited and they would come by boat. Oh, the good ‘ol days! Another interesting tidbit that many of you probably already know is that the big lake is spring fed and the largest flowing water is approximately 10 ft. wide. This area is near Siffing’s and Zakke’s property. In 1871 Theresa Hicks, wife of William Hicks, became the sole owner, due to her husband’s death. In 1886 a portion was sold to Carl Christie. In 1889 Carl Christie sold it to Rasmus Stone for the amount of $1,728.25. Knute Nelson was the notary public at the time. In 1973 Beheng’s sold part of their land to Arthur and Natalie Johnson. Natalie currently lives there. Today there are only a few heirs that have retained ownership of the original nine parcels. Mike Rajdl has submitted the following history that he has been researching. The information is taken from the 1862 Civil War Diary of a soldier named Carl Roos. the 10th Regiment and a squadron of cavalry. We also camped here overnight. Sat. 20 – Marched through a young wood of ash, birch and linden for 5 miles. well as the prairie are so studded with small lakes. 3 days of beautiful weather. anyone, so it [is] the Yankees. Perhaps saw proof of it today. a rifle salvo “in order to clean his gun”. were observed who called to us from a distant hill. prairie as the previous 2 days. Crossed Ston (sic) Creek. Saw this day between . most of the Red men (illegible) and dismembered. a bloody head, otherwise [it] means (illegible) the flag of insurrection.